Noé Freres, Paris 6-key flute. 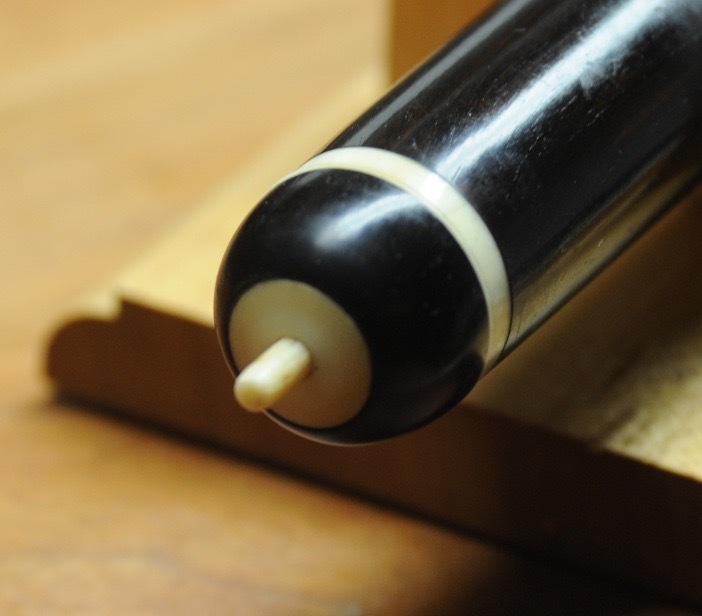 a=430 - 438 Ebony with ivory rings and silver keys. 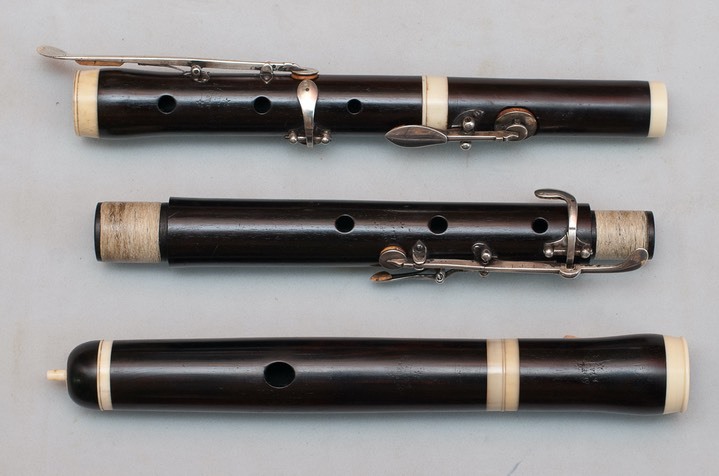 This is an early flute in particularly fine condition. Restored by Boaz Berney. Note the hallmarked keys.